Heading to the Agenda x Diet Coke x Drybar Pop-Up this Saturday? Skip the parking and use Lyft code DIETCOKECLT for $10 off your ride ($10 total) to Drybar. Charlotte Craft Beer Week: IPA DAY at Pilot Brewing: All day, all of the IPA’s will be $3 to kick off the week. 11 a.m. to 10 p.m. $3+. Details. Beer Release at NoDa Brewing Company: They’re releasing Bandito and throwing a fiesta in honor of the Mexican style lager with tacos from TIN Kitchen. 3-10 p.m. Free. Details. Beer Release at Bold Missy Brewery: They’re releasing 2019 variation of Long Live the Queen (City) just in time for Charlotte Craft Beer Week. $1 per pint sold in the taproom will be donated to the Pink Boots Society. 4-9 p.m. Free admission. Details. Pilot Batch Release at Triple C Brewing Company: Try the newest brew, I Carried a Watermelon, a light-bodied Kolsch brewed with German Pilsner, German Vienna malt and Spalt hops. 4-10 p.m. Free admission. Details. Catawba Brewing and Bold Rock Picnic at Flight: They’re celebrating the release of Peanut Butter Jelly Time beer into the market at Flight Beer Garden and Music Hall. They’ll have a PBJ eating contest, and proceeds from the event will be donated to the Second Harvest Food Bank of Metrolina. Participants are encouraged to bring food items to donate directly. 6-9 p.m. Free, $10 to compete. Details. Scotch Club at Ballantyne: Discover regional Scottish whiskies from the Highlands to the Lowlands that are paired with hors d’doevres. This month’s focus is Distillery Edition Single Malt Scotch. Reservations required. 6:30-8:30 p.m. $70+. Details. 7th Street Public Market Vegan Dinner at 7th Street Public Market: Join Viva Raw, Assorted Table Wine Shoppe and Chef Julio of OMG Alchemy for a vegan multi-course dinner centered around mushrooms and fermentation. The five-course dinner will be paired with three wine pours. 6:30-8:30 p.m. $55. Details. Hands-On Mixology Craft Class: Cocktails + Crystals at Liberate Your Palate: Brianna Daniels, Primary Conductor and Transformative Adornments Crafter of Cosmosis Stones, will teach you about the power of healing crystals while you craft herb-infused cocktails. 6:30-8:30 $75. Details. Pie & Cider Pairing at Red Clay Ciderworks: Cider maker Jay Bradish and Baking Scientist Monica Nye, PhD, will walk you through four different pairings. Tickets regularly sell out so get yours in advance. 7-8:30 p.m. $19. Details. Glenmorangie Scotch Dinner at Napa on Providence: Live large and enjoy four-courses, five scotch pairings and one premium cigar. 7 p.m. $90. Details. Food Truck Friday Plaza Midwood at Resident Culture: Food Truck Friday szn has finally arrived, so celebrate with live music, drinks and maybe multiple trips to your fav food truck. 5-11 p.m. Free. Details. Avocado Food Truck Friday at Sycamore Brewing: The typical food trucks will be serving up avocado dishes — a millennial’s dream! 5-10 p.m. Free. Details. Oregon Wine Festival at Seaboard Taproom & Wine Bar: This cool Mathews spot will be exclusively pouring wines from Oregon. Expect unlimited tastings of 30 different wines and complimentary cheese and charcuterie. 1 p.m. to 5 p.m. $65. Details. Couture for a Cause at Mint Museum Uptown: Watch a fashion show featuring Luis Machicao’s Prêt à Porter collection, bid on live auction items, and help raise funds for Autism Charlotte. 6:30-10:30 p.m. $125+. Details. Dvořák Violin Concerto at Belk Theater at Blumenthal Performing Arts Center: Resident Conductor of the St. Louis Symphony Gemma New will direct Avery Fisher recipient Paul Huang on Dvořák’s dramatic and only violin concerto. 7:30-9:30 p.m. $19-$88. Details. David Koechner at The Comedy Zone: See actor, writer and producer David Koechner (well-known for his role as Todd Packer on “The Office”) live. 7:30 p.m. & 9:45 p.m. $20-$25. Details. Album Release Party at Resident Culture Brewing Company: Dexter Jordan is releasing his first full-length album, “BLUE,” and they’re celebrating with appetizers, drinks and a live performance from the artist. 9-11 p.m. $5-$10. Details. Queen Charlotte Fair at Route 29 Pavilion: Enjoy daily shows, classic carnival rides, and lots of fried foods. 4-11 p.m. $10, kids 5-12 are $5. Details. Rumbao’s 5th Anniversary at Infinity Ballroom Charlotte: They’re celebrating with a star-studded event featuring lessons from Tito and Tamara from Puerto Rico, judges for the World Salsa Summit and the World Salsa Open, choreographers for Gilberto Santa Rosa and coaches for many World Champions. 8 p.m. to 2 a.m. $15+. Details. Zipline and Dine at USNWC: As always, you’ll get a delicious chef-prepared meal and drink pairing, as well as a zipline excursion. 6-9 p.m. $75. Details. Wine And Work Out at Club Fitness of Charlotte: Come by and meet the Group and Personal Trainers and sample free wine. They’ll even provide child care while you’re there. 6-9 p.m. Free. Details. Underwater Wonders at Discovery Place Nature: Explore the animals that have made the museum’s pond their home. 12:30 p.m. Included in admission. Details. Charlotte Craft Beer Week Kickoff Fundraiser for Matt McKenzie at The Barrel Room at Triple C: Show support for local journalist Matt McKenzie of Charlotte magazine who was recently diagnosed with a rare form of sinus cancer. More than 20 Charlotte-area breweries and cideries have come together to create one-off and limited release brews specifically for this event. Tickets include a raffle ticket and a beer. 6-9 p.m. $10. Details. Second Annual Carolina Beer Mixer at Free Range Brewing: Help raise scholarships at East Lincoln High School and the Fight With ME charity — a nonprofit created in honor of Miranda Eckard. Tickets include dinner and two beers. 6:30-10 p.m. $50. Details. Grand Opening at Pink Cactus Clt: They’ll have live music, great specials and more. 11 a.m. to 2 a.m. Free. Details. 4th Annual Friends and Beerfest: Burgers, Brews and Buds at Legion Brewing: They’ll have a beer release, freshly grilled burgers from Mullis Family Farm and live music to kick off Charlotte Craft Beer Week and NC Beer Month. Operation Sidekick, a program that exclusively trains rescued pit bulls as service dogs to help veterans, will also be at the event. Noon to 6 p.m. Free. Details. 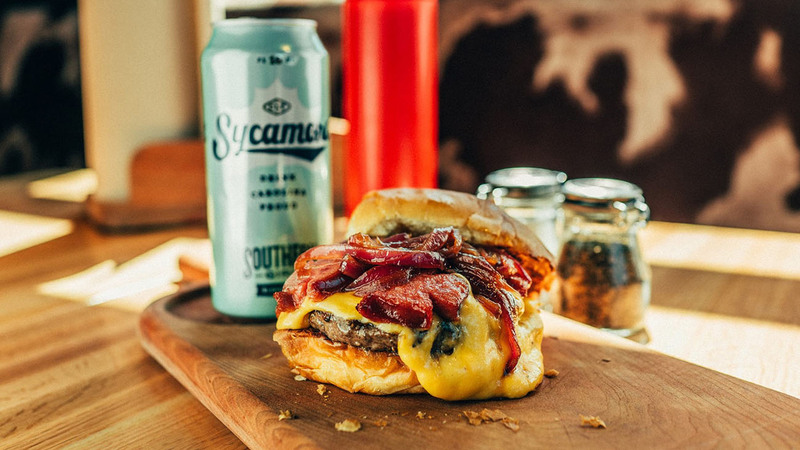 BBQ & Bluegrass at Sycamore Brewing: Enjoy local barbecue from OooWee BBQ, live Bluegrass Music, fresh Sycamore beer and Wild Blossom Cider. Gyro Twins Truck will be on site serving lunch and dinner, too. Noon to 10 p.m. Free. Details. Blue Blaze Brewing and Bullies at Blue Blaze Brewing: Come meet some adorable and adoptable bullies looking for forever homes. Noon to 3 p.m. Donation. Details. Triple Can Release at Wooden Robot Brewery: They’re releasing three fresh beers: Pilmatic, DDH Mosaic and Double Juice Island. They’ll only be available in the taproom and they’ll go fast! Noon to midnight. Four-packs start at $12. Details. Beer Release at Triple C Brewing Company: They’re releasing Hazy Maker IPA, brewed with Carolina Malt with flaked oats and wheat added. Noon to 8 p.m. Free admission. Details. Solo Masterclass with Paul Huang at Belk Theater at Blumenthal Performing Arts Center: Paul Huang, the winner of the 2015 Avery Fisher Career Grant & the 2017 Lincoln Center Award for Emerging Artists, is performing the Dvorak Violin Concerto with the Charlotte Symphony. Get to know him beforehand and watch him teach the young musicians. 2-4 p.m. Free. Details. Broadway Ball 2019 at Big Chill: Join Theatre Charlotte for an evening of live music, performances, dinner, dancing, silent and live auctions, raffles and drinks. 6:30-10 p.m. $175+. Details. David Koechner at The Comedy Zone: See actor, writer and producer David Koechner (well-known for his role as Todd Packer on “The Office”) live.. 7 p.m. & 9:30 p.m. $20-$25. Details. Rumbao’s 5th Anniversary at Infinity Ballroom Charlotte: They’re celebrating with a star-studded event featuring lessons from Tito and Tamara from Puerto Rico, judges for the World Salsa Summit and the World Salsa Open, choreographers for Gilberto Santa Rosa and coaches for many World Champions. Events all day $15+. Details. Adventure Hunt Charlotte at Throughout Charlotte: Grab a team, and get ready to compete in a modern-day treasure hunt for the chance to win tons of prizes, like a free vacation to Panama. 9 a.m. $41 per person. Details. ChuckFest! at Common Market South End: Celebrate Craft Beer Week while raising funds for Safe Alliance. They’ll have a VIP craft beer tasting, a whole-hog barbecue, breakdancing battle, live music and raffles. 10 a.m. to 9 p.m. $0-$15. Details. Charlie’s Carnival at Stumptown Park in Matthews: The 2nd Annual Charlie’s Carnival celebrates the life of Charlie Holt. Families of all ages are invited to enjoy an afternoon of carnival games, activities, bounce houses and several local food trucks. 11 a.m. to 3 p.m. Free. Details. Agenda x Diet Coke x Drybar Pop-Up at Drybar: We’re celebrating the two newest flavors in the Diet Coke fam, Strawberry Guava and Blueberry Acai, with the perfect Saturday pick-me-up — and we’re taking over Drybar to do it. 11:30 a.m. to 2:30 p.m. Free, tickets required. Details. Queen Charlotte Fair at Route 29 Pavilion: Enjoy daily shows, classic carnival rides, and lots of fried foods. Noon to 11 p.m. $10, kids 5-12 are $5. Details. Paw-ty For a Purpose: Hope For All Dogs at NoDa Brewing Company: Hope For All Dogs focuses on finding permanent homes for senior dogs and dogs with disabilities. They’ll have raffle items, adoptable dogs and more. 3-7 p.m. Donation. Details. Celebrating 20 years of Music at the Fountain at StoneCrest at Piper Glen: Celebrate 20 years of great music as they kick off the 2019 music series with free family fun and the Greg Lilley band performing live. 6-8 p.m. Free. Details. 19th Annual Guys & Dolls Auction Gala at Hilton Charlotte Center City: The premier event for young professionals features a live auction Packages put together by dedicated “Guys” and “Dolls” up for auction to the highest bidder. Proceeds will benefit the Cystic Fibrosis Foundation (CFF). Dress code is black-tie optional. 6:30-11:30 p.m. $150+. Details. AfroPop! Charlotte: The Bantu Experience, Vol.2 at Harvey B. Gantt Center for African-American Arts + Culture: Shop dozens of vendors, experience pop-up fashion shows and artist activations, take an African dance and drumming class, and party on the rooftop. They’ll have special activities for the little ones, too. 7 p.m. to 1 a.m. $10-$35. Details. Shuck Cancer at C3 Lab: Kicking off with an oyster roast, the celebration will also feature beer and wine, light bites, a raffle, an auction, a band and the NCAA Tournament on the big screen. Proceeds will benefit the Colon Cancer Coalition. 7-11 p.m. $65. Details. DJ Series at City Lights Rooftop: Party 18 floors up to DJ SANOUK with resident DJ BICNASTI. 9 p.m. to 2 a.m. Free. Details. Center City Literary Festival at UNC Charlotte Center City: Expect children’s authors along with fun kids’ activities such as creation stations (coloring, crafting, and character-building) and scavenger hunts during the day and readings, discussions, book signings and socializing in the evening. 10 a.m. to 1 p.m. & 6-9 p.m. Free. Details. National Vietnam War Veterans Day at Carolinas Aviation Museum: Learn about Vietnam-era aircraft through firsthand accounts from veterans who worked on and flew these aircraft. 10 a.m. to 5 p.m. Included in admission. Details. Women’s Networking Summit at Harvey B. Gantt Center for African-American Arts + Culture: The event hosted by Nikki Pounds, Owner of HR Unequivocally, will bring together business professionals, influencers, entrepreneurs and industry leaders for informative discussions. 11 a.m. to 3 p.m. $65. Details. Brews for Buyers at VBGB Beer Hall and Garden/Restaurant: Speak to a licensed realtor and mortgage lender to learn everything you need to know about the market and buying a home while you enjoy appetizers and drinks. Noon to 2 p.m. Free. Details. Homebrew 101 – Beer Evangelism Series at Carolina Beer Temple: Learn the basics of homebrewing from two of your favorite Temple priests: Javier Mejia and Matthew Canfield. They’ll also be raffling off a full starter kit so you can have all the right equipment. 3-6 p.m. Free. Details. Get Your Rear in Gear at Independence Park: Participate in a 5K run, 5K walk or and 1-mile fun run to help raise awareness of and funds for colorectal cancer. 7-10 a.m. $35 in advance, $40 day of. Details. 3rd Annual Blue Star Blitz at 195 Adventure Road: Kick off spring by getting outside in whatever your favorite way is. They’ll have bike races, 5K/10K trail run courses, hiking, a kid’s scavenger hunt and live music. 7:30 a.m. to 3:30 p.m. $10-$40. Details. 2nd Annual RV 5K at Red Ventures campus in Fort Mill: The annual Red Ventures 5K is on again with an all-new race course through the trails on campus, and 100 percent of the proceeds will be donated to Girls on the Run and Let Me Run. 9 a.m. $25. Details. Easter Bunny Story Time and Craft at SAS Cupcakes-Blakeney: They’ll read the kids an Easter story and then help them decorate cupcakes and make a festive craft. 10:30 a.m. & 1 p.m. $13. Details. Easter Bunny at Pet in the City: Take photos of your pup with the Easter Bunny or have them take the pictures for you. Donations will benefit Charlotte Black Dogs. Noon to 3 p.m. Suggested $5 donation. Details. Easter Bunny Photos at Catawba Brewing Company: Catering to Cats and Dogs will be ready to take pictures of your kids or pups with the Easter Bunny for donations. They’ll also have adoptable with them to love on. 3-7 p.m. Free/donation. Details. The Big Spring Clean 2019 at Various locations: Volunteer to help clean up all of the trash that gets into streams and lakes from storm drains, flooded yard, and illegal dumping. All supplies provided. 9 a.m. to 1 p.m. Free. Details. Charlotte Knights Charities at The Olde Mecklenburg Brewery: Charlotte Knights reps will be on site starting for fun and games, plus a portion of the proceeds will be donated back to the Charlotte Knights Charities. 11 a.m. to 11 p.m. Free/donation. Details. Queen Flea Makers Market: Spring Break Edition at summerbird: Support local and come shop 50+ vendors all under one roof, in an intimate, curated shopping experience. VIP tickets will qualify you for special discounts and promos with all of the vendors, plus enter you into the raffle to win one of the five swag bags they’ll be giving away. 10 a.m. to 5 p.m. Free, VIP is $5. Details. Spring Pop Up Market at Ballantyne Village: Spend the day relaxing and shopping from 35 different local vendors. The stores will offer special offers and raffles as well. 11 a.m. to 4 p.m. Free. Details. 65. 50% chance of scattered showers. Taste of the Mint: Contemporary Art at Mint Museum Uptown: Enjoy art, food and wine during a tasting by Halcyon, Flavors from the Earth, and then take a guided tour of the Contemporary Art galleries. 1:30 p.m. $35-$45. Details. Craft Beer Week Kick off at Bold Missy Brewery at Bold Missy Brewery: The Queen City Sip Shop will be popping up at the brewery with more than 15 vendors so grab your crew and shop local artisans and makers and sip some fabulously brewed beer. 1-5 p.m. Free. Details. The Oyster Roast at Historic Rosedale Plantation: Oysters will be roasted outside in the true Southern coastal tradition, served with the usual “fixins,” well as a low country boil and hot dogs. They’ll have beer and wine for adults (including a craft beer tasting) and live music. 2-5 p.m. $55. Details. WDAV’s Small Batch Concert feat. Norbert Lewandowski at Free Range Brewing: Add a little culture, classical music and craft beer to your Sunday with WDAV and Free Range Brewing. Your $12 ticket includes a beer and commemorative glass. 4 p.m. $12. Details. Queen Charlotte Fair at Route 29 Pavilion: Enjoy daily shows, classic carnival rides, and lots of fried foods. Noon to 10 p.m. $10, kids 5-12 are $5. Details. Pups and Perennials at Daniel Stowe Botanical Garden: Leashed pups are welcome to come to the Garden to sniff the spring blooms for one special afternoon. You’ll also get to talk with local pet adoption groups, shop from dog-themed vendors and enjoy family friendly activities. Noon to 4 p.m. Included in admission. Details. Easter Bunny Photos at Lucky Dog Bark & Brew Charlotte: Carolina Big Hearts Big Barks Rescue will be on site taking photos of your pups for donations. Plus, Tacosaurus will be serving up food and 10 percent of bar sales will be donated to CBHBB. 1-4 p.m. Donation. Details. Birdsong Grand Prix: Mario Kart 64 at Birdsong Brewing Co.: Test your racing skills for a chance to win 50 percent of the buy-in proceeds. The other 50 percent will be donated to JDRF Advocacy. 2-5 p.m. $10. Details. Happy Puppy Dog Walk at The Unknown Brewing Company: Starting this weekend, bring your pup for a 3-mile leisurely walk to Canine Café Charlotte where you’ll stop for puppy daiquiris and cake. They’ll also have a special Happy Puppy Brews for purchase (dog-friendly). 2 p.m. Free. Details. Trans Day of Visibility Mixer & Community Fair at Petra’s: Mix, mingle and learn more about a wide variety of community resources, including local trans-led causes and initiatives, social and support groups, volunteer opportunities, healthcare resources and more. The first 100 attendees will get a free drink. 3-6 p.m. Free. Details. 2019 NCA Nationals Showcase at Dale F. Halton Arena: Come out and support your Charlotte 49ers Cheerleaders as they showcase their Gameday Routine before they embark on their trip to Daytona Beach, Florida NCA Nationals. 3-4 p.m. Free. Details. Moving Forward 5K at McAlpine Creek Greenway Park: Help support the North Carolina Arthritis Foundation and the Wingate University Doctor of Physical Therapy Program with a 5K on the greenway. 2-5 p.m. $25. Details. Cyclobots Sunday Ride at Wooden Robot Brewery: Enjoy a 22-mile out and back ride from the brewery to the Pineville Matthews Road intersection on Rea Road. 4-7 p.m. Free. Details. Family Fun Fest at Sycamore Brewing: They’ll have carnival-themed events all day, including face painting, story time, live music and lots of classic carnival eats. Noon to 5 p.m. Free. Details. 2019 Loch Norman Highland Games: This is a huge annual event with tons of stuff for families, from bagpipe performances, Highland Dancing, a kids’ zone, historical reenactments and more. There will be beer, wine and whiskey tastings as well. April 13-14. Tuck Fest 2019: They’ve got live music and more than 35 athletic events and competitions going on throughout the weekend, and you can enter as many as you want for one price. If you don’t want to get in on the action, you can watch for free or purchase terrace tickets so you can watch from private viewing areas, have a chef-prepared meal, and participate in the cash bar. April 25-28. 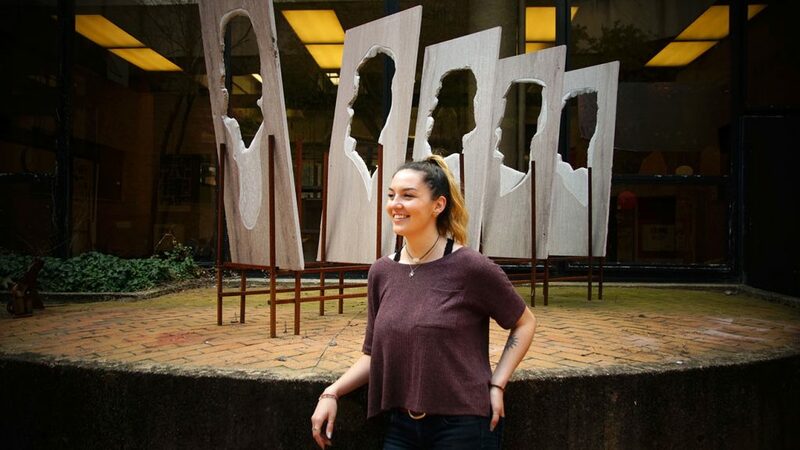 This Charlotte artist kick-started her career as an undergrad – here’s how she’s taking it to the next level.